Thank you for the info but I’m confused since their are 2 Littlebury’s. Can you clarify them for me? I’m not sure which one I descend from. 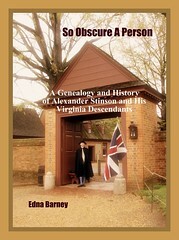 Virginia unit; married to Matilda Smith. Virginia unit; married to Nanney______. I just entered a response to your request. hopefully you will find one of my notes and respond. I do not know anything about another Littlebury PATTERSON (1749-1789/1796) in the American Revolution. My Littleberry PATTESON has been documented to have served as a Sergeant in Captain Cabell’s Company, April to July 1777. Perhaps the other Littlebury PATTERSON, if there is one, is the person who was said to be in Daniel Morgan’s Riflemen. It would be interesting to find him on the National Archives Microfilm. I have looked at some of the images under Daniel Morgan’s Rifles and did not find him. Perhaps he was in the other regiment that is on the same film, which was Livingston’s Regiment. His name is obviously on the film, as he is in the index of that film at Ancestry.com. I think there are also Bounty Claims for Littleberry Patteson. If you find those you may be able to tell something, as the land was awarded according to the soldier’s rank and time served. 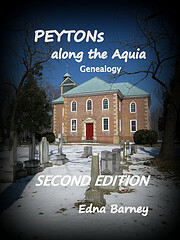 Those of you related to Littleberry Patterson 1754 – 1827 married to Matilda Smith please contact me to start exchanging family info. Littleberry is my 2nd cousin 6 generations removed. I have lots of family info and am happy to share. Littleberry Patteson and his wife Matilda were my fifth great grandparents. DAR documents that he served with Daniel Morgan’s Riflemen.